Trace a line across a map of London and one will encounter many historic railways. Railways are more dynamic than people may suppose; over time stations are reconfigured, bridges replaced, tracks re-aligned. Sometimes, whole lines or tracts of land, particularly those associated with London's freight operations, fall into disuse. The designers of Crossrail, London's latest railway, actively sought these out for adaptation. At many of these places historic buildings were adapted or removed to accommodate the new railway; elsewhere the building of Crossrail has unearthed the archaeological remains of some of London's earliest railways. Buildings have much to tell us about the lives and livelihoods of others, and Crossrail ensured that any building or site of archaeological significance affected by the works was surveyed by their team of archaeologists. This book presents the results of those surveys in the form of a collection of essays, largely based on the chronology of railway development in the capital. Collected together, the chapters provide new aspects to the history of railways in London; details of the buildings and structures affected, from engine sheds to turntables, are provided in a gazetteer. 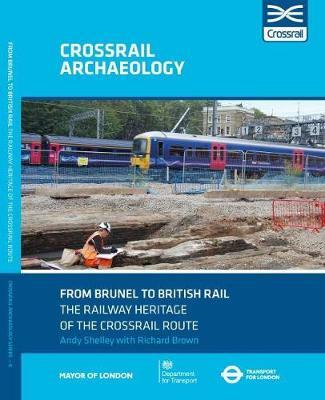 The results of the Crossrail project archaeology programme are published in this series of reports. Further information for each investigated site can be found in the project digital report archive. Please see www.crossrail.co.uk for further details. Crossrail is building a new rail line for London and the South East. The project is constructing 42km of tunnels under London, building ten new stations and upgrading 30 more. The railway will add 10% to central London's rail capacity, reduce journey times and improve accessibility. The route will run over 100km through 40 stations from Reading and Heathrow in the west, through central London and to Shenfield and Abbey Wood in the east.